Most sports bettors can be considered creatures of habit. If you study their betting patterns and tendencies across a broad spectrum of placed bets, you can almost predict what games and which teams they will bet on next. As a private bookmaker running and managing your own independent sportsbook, this type of information could be extremely helpful when it comes to planning out your weekly betting board. One of the biggest advantages you have over the big online sportsbooks in the sports betting industry is the ability to raise the bar when it comes to customer service and personal attention to detail. Today’s sophisticated sports bettor is looking for a higher level of attention that the big online books simply cannot provide. 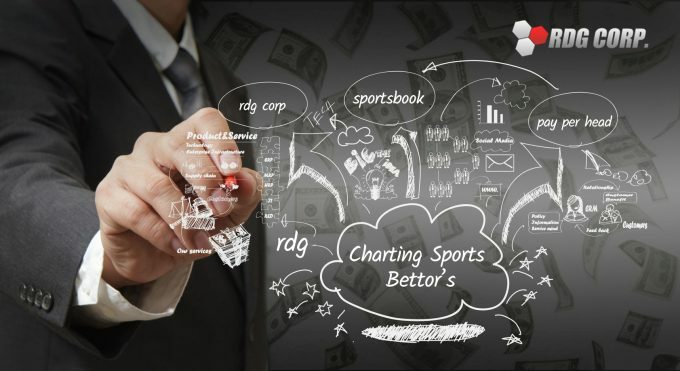 Catering to your customer’s needs is a big part of the price per head bookie services you offer, but the main benefit of fully understanding each of your betting customer’s habits and betting tendencies is the added profit you can generate for you overall company bottom line. The easiest way to accomplish this goal is by working with your current Pay Per Head online sports betting software provider. Through backend support, there are any number of business reports you can run to quickly summarize the information you are looking for. It all starts with a comprehensive individual account profile for everyone of your betting customers. This should be a top down process from your biggest and most active sports bettors to anyone who has ever placed a bet through your private bookie service. While these individual account profiles act as a control feature with customized betting and credit limits, they are also a complete and comprehensive record of each of your customer’s past betting history. These real-time business analytics can provide the proper information needed to effectively run and manage your own book. Staying way out in front of the daily betting action coming in is a big part of the picture. However, so is planning out the future with the right sales and marketing initiatives already in place. Bettor’s habits rarely change and the ability to anticipate where the action may head for big betting matchups will help you plan accordingly. Your Pay Per Head software package also lets you set and move your own betting lines. It also lets you build out and change your overall betting board to best suit your business needs. Posting the right betting odds in a timely fashion to meet all of your customer’s sports betting needs will lead to a much higher handle at the end of every week. The information contained in each of these individual account profiles can be worth their weight in gold when it comes to marketing your private bookie services. Every individual bettor has their own habits and traits, but across a broader spectrum, commonalities will appear. This will allow you to directly target what type of sports bettors best fit for your particular business model. Another great aspect of running a private bookie business is being able to pick and choose the type of customers you wish to work with. Building business growth models using this highly targeted approach is the best way to expand your customer base. Knowing where you have been, where you are and where you want to go is the three-step process to long-term success in a highly competitive business environment. When it comes to the sports betting industry, everyone is looking for an edge. Your customers may think your bookie services are a cut above the rest, but they still want to take your money. Staying one step ahead of things with the help of Pay Per Head bookie software solutions is your key to success.